Every Bollywood music buff has a favourite Arijit Singh earworm today. Mine is a maudlin ditty from an eminently forgettable film called Heartless: “Main dhoondne ko zamaane mein jab wafa nikla, pata chala ke galat leke mein pataa nikla”. It translates, roughly, as “When I went looking for faithfulness and commitment, I realised I had the wrong address in hand”. Something similar happened to me when I tried to get in touch with Arijit. A dozen calls and an equal number of text messages later, I still haven’t been able to connect with him. It often makes me wonder if I have the wrong mobile number for him. A quick word with people in the music business makes me realise that I am not the only one. The most popular playback singer of the country right now, whose songs play 24x7 on every radio station and autorickshaw, is also the most hard to pin down. “He doesn’t want to give interviews on TV, radio, nowhere. He’s firmly decided this and he’s headstrong about it,” says Meera Damji, popular RJ at Radio Mirchi, Mumbai. There are a few other not-so-flattering impressions I gather: tough to work with, moody, eccentric, doesn’t keep to his commitments, a little lost, “haath hi nahin aata”. However, even those who are not swayed too easily by an artist’s popularity can’t but help agree that he is the biggest, most talented Bollywood playback singer at the moment. He has created an identity; he has a fan following of his own; and his name especially resonates with the young. 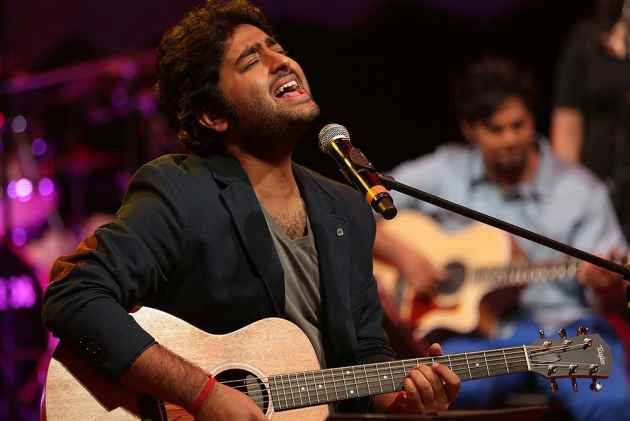 Arijit’s electric stage presence is also a factor, and the fans are swelling at his live performances. “No one in recent times has seen such a spell of success,” says lyricist Swanand Kirkire, who wrote one of Arijit’s earliest songs, Sawali si raat in Barfi. “Every second song on our radio playlist is Arijit’s. Then come Honey Singh and Mika Singh,” says Meera. But these parameters of success apart, the magic boils down to that finely-honed and textured voice. “Something in his voice touches me, it reaches out,” says lyricist Rajshekhar. The Murshidabad boy is known to work hard at his songs, practicing on his pitch and tone. “His foundation and riyaaz have been strong. In today’s times, a vocalist needs to have all genres of music—Hindustani classical to the cross cultural—at his fingertips and Arijit has that,” says music composer Krsna. Unlike other singers, he doesn’t just go by the melody but listens to the lyrics as well. “Very rarely do singers pay attention to the words,” says Rajshekhar. “He is involved, gives his inputs, visualises the song, works on how to sound different, stylises his voice if the melody is a bit weak. Arijit doesn’t merely deliver a song. He is a more rounded, thoughtful musician when it comes to recording his songs,” says Krsna. He is known to have confessed to liking producing and programming music more than singing. All rooted, perhaps, in the years of working as an assistant to music director Pritam. The first time he got noticed as a singer was two years ago in the whisper-soft Raabta in Agent Vinod and Phir le aaya dil (reprise) in Barfi. Then 2013 had him deliver the monstrously popular Tum hi ho, which also brought him a Filmfare award. It’s all been up, up and away since then. “There is a versatility to him as a singer, he delivers the nuances,” says Swanand. Even the range of songs is varied. From a sombre Gulon mein rang bhare in Haider to the tapori dance hit Palat­—Tera hero idhar hai from Main Tera Hero. “Even in a chaalu song like Palat, he brings in a positivity,” says Rajsh­ekhar whose guilty pleasure of Arijit is Aaj phir tumpe from Hate Story 2. Krsna likes how a song like Sawan aaya hai in Creature 3D is not quite a song that “belongs to him” but Arijit has made it his own. But there’s a flip side too. Is Bollywood stretching him a bit too thin? Is Arijit outworking himself? “Amidst so much clutter, even if he tries something new, there is an Arijit fatigue that has started to creep in, in the minds of the listener. It’s not good for the projects he is associated with nor for his own equity,” says BBC FM music critic Rohit Mehrotra. 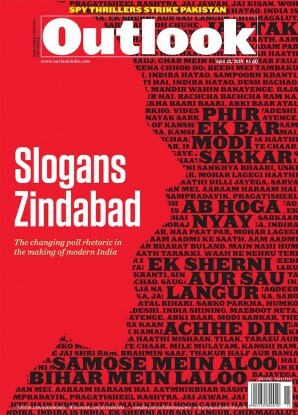 Vipin Nair, who writes for MusicAloud.com, has a contrarian view: “I have felt that his style doesn’t suit all songs. At least that was the case in the initial days. But now I hardly see that problem. There is a lot of Arijit, but so long as there is variety in the songs, it’s fine. And there has been some diversity this year, like in Queen. He was used brilliantly in Hungama ho gaya and Taake jhaanke.” On the other hand, Rohit feels it’s time now for him to be mysterious. “Arijit needs to lead listeners to the point where they wait for another song from him,” he feels. And not just keep hacks like yours truly waiting for that elusive interview.